Here you will find all the information you need about buying stamps and selling them. You can find numerous stamp catalogs but these are usually rough guides. They will tell you about prices roughly but the prices actually differ according to a number of factors. It is your job to find out about these factors. Dealers to whom you sell the stamps live on stamps and their rules are actually different. These rules will be examined here later on. For now, you should remember that customer-dealer relationships are crucial and you should understand them if you want to strengthen your collection. If you have just started collecting stamps it’d be a great idea to examine the philatelic world. Go to a stamp show once and you will understand about the world you are entering. Soon you will understand that you can’t have everything. You will end up collecting stamps of one area or a few areas based on your interests. Of course you want good deals for your stamps in the end. You need some negotiating skills for sure. Along with that, you need to time your deals properly. You can begin by collecting the stamps from the mail. Once you have done that you can go to the post office and see what stamps they have and buy one of each. If you are a tropical collector, you will have to do some searching. Serious dealers usually advertise well but you will have to work a little to find them. Dealers will usually have the new issues and stamps that are available in plenty already. 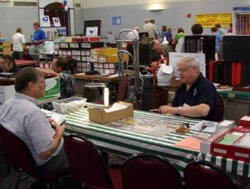 You just need to plan a little to take the maximum advantage of stamp shows. When you get about a million people who collect the same thing as you do, you want to be able to go to a place and meet other people who do the same thing as you.